This years General Assembly of BETA e.V. will be held in Brussels. The official invitation for the GA will be sent via email to our members in due time, containing all necessary information and documents. 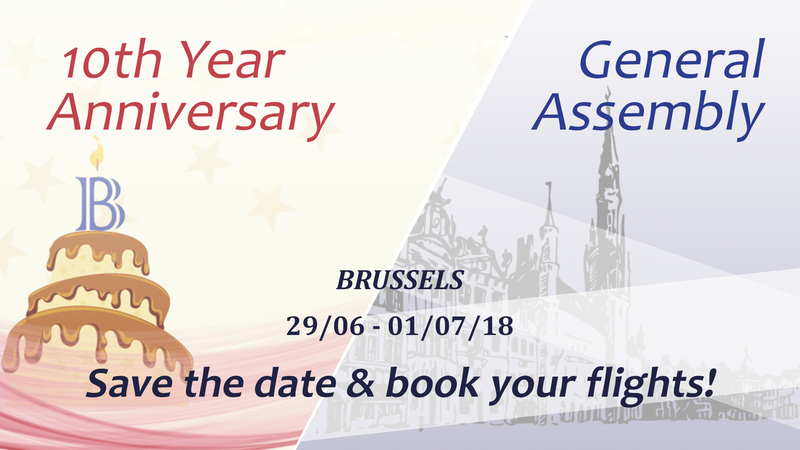 This year, the Bringing Europeans Together Association (BETA) e.V association turns 10 🎉🎈😊. During the weekend of the General Assembly dates, we will commemorate this with a special event. Stay tuned for more information! Save the weekend 29.6 - 01.07.2018 in your Calendars, and do not forget to spread the info 📢 with other members of the association and friends. We hope to see as many of you in Brussels!